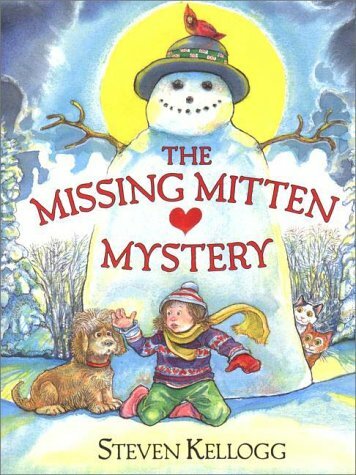 While playing, Annie loses her red mitten and so she must retrace her steps to all the places she had been in order to locate it. <b>Steven Kellogg</b> is a beloved author and illustrator who has published more than 100 picture books, including the classics <i>The Mysterious Tadpole, Can I Keep Him?, The Island of the Skog, </i>and<i> Is Your Mama a Llama?,</i>&nbsp;and&nbsp;<i>Pinkerton, Behave!,</i> which was on <i>Horn Book'</i>s and <i>Booklist&#x2019;s</i> Best of the Year lists and led to four sequels. Kellogg is a winner of the Regina Medal for his lifetime contribution to children&#x2019;s literature. His books have received numerous accolades, such as being named Reading Rainbow featured selections and winning the Boston Globe-Horn Book Award, the Irma Simonton Black Award, the IRA-CBC Children&#x2019;s Choice Award, and the Parents&#x2019; Choice Award.